James has made excellent use of Wingraph and other advanced Pascal features to produce a most effective educational program. It is now available in Smart Pascal as a web preview. 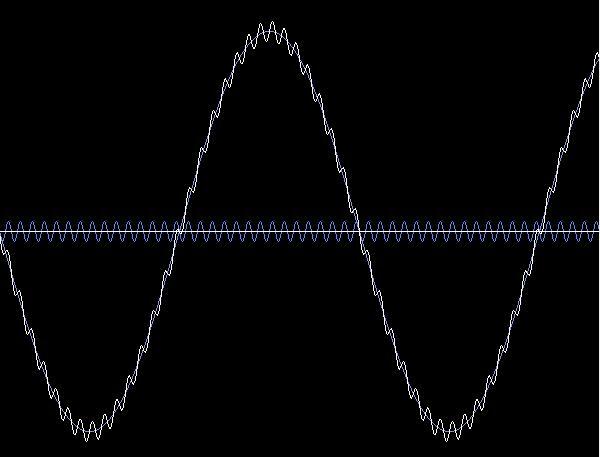 You can input many sine waves with different amplitudes, offsets, and relative frequencies then the program will draw them in different colours. 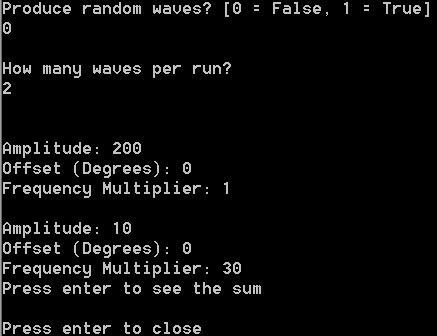 After the drawing is complete, you will probably want to select the console window and press RETURN to instruct the program to calculate and display the sum of all of the waves. 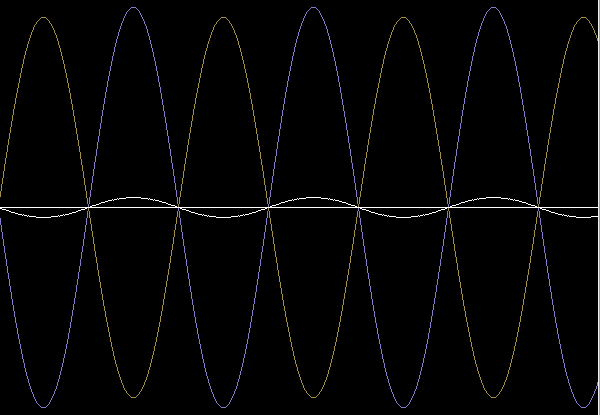 We can show summing a low frequency sine wave to a high frequency sine wave with the following input. Alternatively, we can instruct the program to generate random waves to obtain an output such as this. In order to run program WaveInterference, you will need to have downloaded Stefan Berinde`s wingraph.zip file as described in our Graphics tutorial. You should copy the unzipped wincrt.pas and wingraph.pas (from the src folder) into your program folder. (The compiled units are included in the zip file but you might as well have the source code available for reference). You should find these three files useful for your own graphics programs. //Here we define how large we want the window to be. //and store it in a variable. //Clear the device for use. //we need to print out all of the wave details to the screen. //running in random wave mode. //If we are running in verbose mode then output the result to the console. //the wave amplitude and then validate the entry. //and again for the frequency multiplier. //Here the wave is given a random colour. It is fixed to give a light colour. //and add a title so everyone knows who created it. 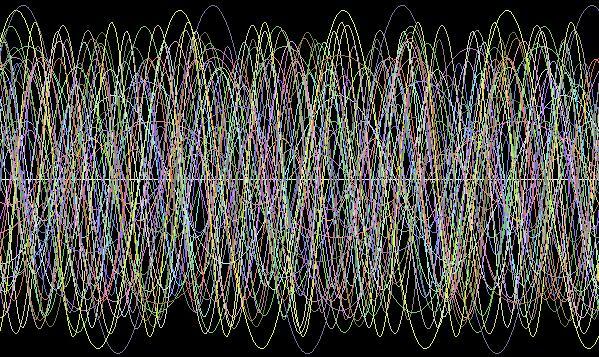 //Loop through all x-values and waves to draw each wave. //Loop through all of the waves that have been set up (could be random or user defined). //Set the colour to draw the wave as the colour generated above. //them, thereby drawing the first section of the wave. //Change the colour to white to make the sum stand out. //Add up the y-value of all waves at the current x-value. //Add up the y-value of all waves at the next x-value. //The sum is only drawn if there are 2 or more waves. //Using the sums calculated above, draw each section of the sum wave. Could you write a similar program to include waves other than sine waves?